Relaxia Lanzaplaya is a complex located in downtown area of Pto. Del Carmen, in 2nd line of beach and close to the shopping and entertainmentareas. It consists of 168 fully equipped apartments, heated pool and buffet restaurant where you can enjoy a widerange of cuisine. 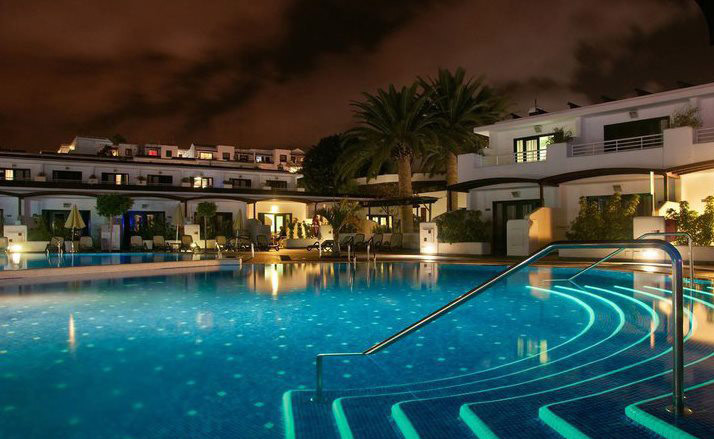 · Solar panels for heating pools and plainwater, use of LEDs and low consumption, waste separation and wáter saving devices installed throughout the complex. · Native plants in gardens and flowerbeds. · Canary Islands buffet once a week accompanied by folk group and offer local wines in its restaurant. · Awarded with the “Q” for Tourism Quality, ISO 14001 of Environmental Management and Travelife Gold.